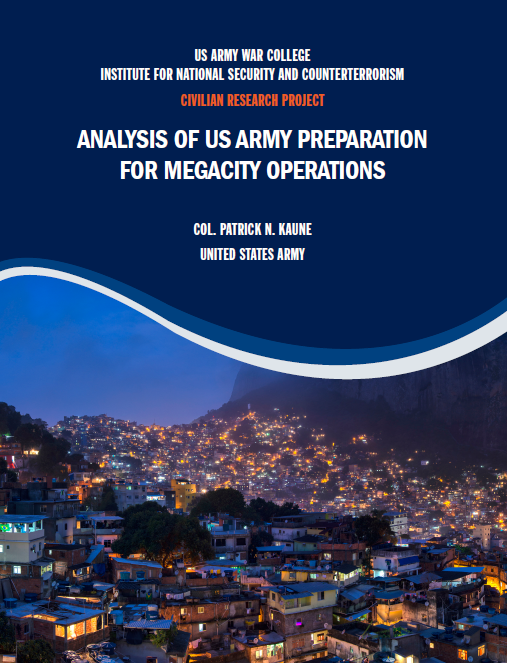 The United States US Army Chief of Staff Studies Group has identified the megacity as a future challenge to the security environment. Due to their complexity, megacities present a vulnerable and challenging future operational environment. Currently, however, the US Army is incapable of operating within the megacity. The US Army must think and learn through leveraging partnerships, which enhance institutional understanding. Historical experiences and lessons learned should assist in refining concepts and capabilities needed for the megacity. 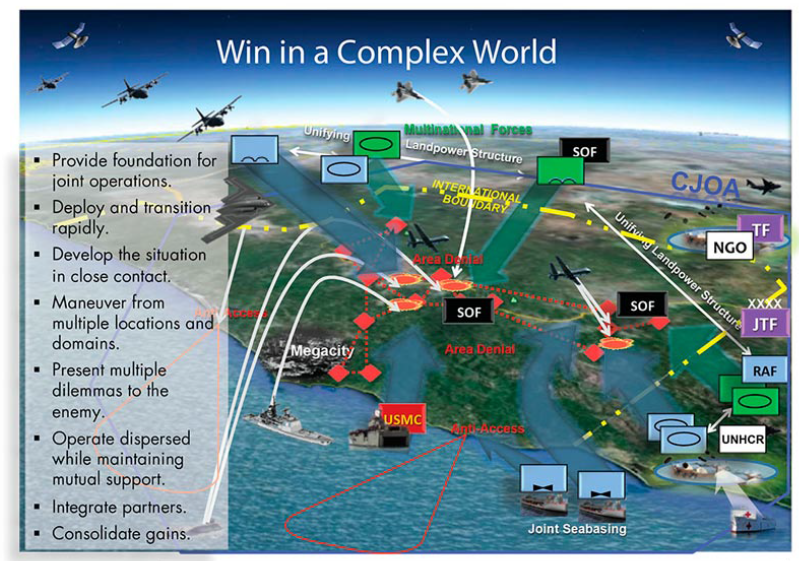 Continued leadership of an integrated joint scenario driven effort will inform future force organization and employment, and by utilizing a framework of Doctrine, Organization, Training, Materiel, Leadership, Personnel and Facilities (DOTMLPF), the US Army should prepare itself for the megacity challenge. The US Army paradigm of Think—Learn—Analyze—Implement paradigm should also aid in the preparation. As the US Army Chief of Staff’s Strategic Study Group (SSG) explains, “[a] megacity is not the only environment where a land force can be tasked to operate, but is potentially the most challenging.” To prepare for operations within this future security environment, the US Army must institutionalize a learning effort to understand the challenge and methods of analysis to ascertain implications for the force. Additionally, given the constrained fiscal environment of the near future, the US Army must recognize the need to prioritize planning for those cities most at risk of an intervention by a future joint force. For this level of planning, the US Army must leverage and integrate joint, multinational, private sector, and academic partnerships across the defense community. The US Army must learn, understand, and analyze the megacity before transforming or equipping itself, and before thinking of winning any contest in such an environment.